Feeling cooped up? Then make plans to attend this urban chicken experience tour! 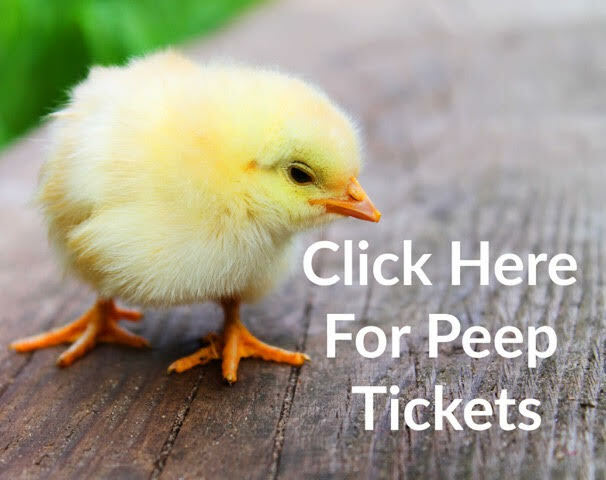 A Peep at the Coops, a one-day tour of private urban chicken coops in North and East Dallas, is set for May 6, 2018. The event features some of the most innovative coops for raising chickens in the city, and experts to answer all of your questions about urban chickens. The family-friendly event also features a Country Market with local artisan and food vendors, community information booths, live entertainment, food trucks and other activities that the whole family will enjoy. 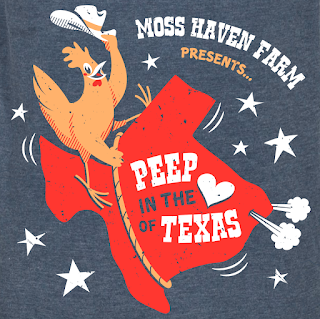 Sunday, May 6, 2018, 11 a.m. to 5 p.m.
You can purchase tickets TODAY (May 6) at Moss Haven Farm, starting at 11 a.m.
You can purchase shirts TODAY (May 6) at Moss Haven Farm, starting at 11 a.m.
Chicken talks by vets at Summertree Bird and Animal Clinic and experts from Trinity Haymarket. Hen Haven – A playful, child-friendly coop designed to be underneath the children’s playhouse! It even has a plexiglass window to allow the children to see inside the coop from the playhouse. Schoolhouse Flock – “Reluctant urbanite” owners wanted to bring a little country back to their family and teach their kids the value of stock and an understanding of where food comes from. This coop is next door to the family’s one-room schoolhouse in the backyard --what a fun way to incorporate the flock into education! Yellow Rose of Texas - This innovative chicken coop was created from the owner’s playhouse after the children grew up and the owner’s chicken flock grew larger. Austin City Limits – This coop aims to “keep chickens weird,” as it’s from Austin natives who chose their Dallas neighborhood based on its laid-back, Austin-like feel, and designed their backyard around their chicken flock. The coop includes nesting boxes recycled from an old chicken farm, doors on timers, a rain barrel-fed watering system, and more. These lucky chickens also enjoy a dust bath in a repurposed clawfoot tub. Coop HQ, the specially designed educational coop where all 400+ Moss Haven Elementary students to enjoy and learn all about chickens and coop care. All classes, K-6, go to the farm on a weekly basis for hands-on lessons, with our hens looking on as they learn. Moss Haven Farm helps students to cultivate a respect for the earth and the food growth process-including eggs! Check out the goodness growing all year long at Moss Haven Farm via www.mosshavenfarm.org.